Alzheimer’s disease is a hereditary condition that strikes with devastating consequences. It is a slow, merciless slide into an infantile existence. It’s also on the rise. According to Chicago’s Rush University, the number of dementia cases may triple by the year 2050. But, there is also good news: you can reduce the chances of developing Alzheimer’s even if you have a family member who is affected. A characteristic deposit accumulates on the brains of Alzheimer’s patients called Beta-amyloid, or amyloid plaque. New research confirms this plaque is present at much lower quantities, or not found at all, in people who practice a few simple, fun activities. Reading, crossword puzzles, creative writing, and other hobbies, will help stave off Alzheimer’s disease. The sooner you start the better, but it’s never too late. While it is possible to delay the onset of dementia by engaging in challenging cognitive activities, the Rush University study suggests those who start in early or mid-life, prove to be most resistant. However, benefits extend to everyone, even to those with early symptoms. Include these activities in your daily routine and you can reduce the chances of developing Alzheimer’s, and you’ll have fun in the process! The association between reading and cerebral health is no longer just speculation. While spending time with a good book is enjoyable, it can also sharpen your vocabulary, boost your memory, and even reduce stress. In addition, reading produces other mysterious effects on the brain and its function. It somehow excites regions of the brain normally reserved for sensory and motion data. Some people prefer non-fiction to novels or poetry. When it comes to brain health, what you read matters less than IF you read; the key is to stimulate the brain with engaging material—regardless of the genre. Reading and writing are similar processes, neurologically speaking. They are both primarily right brain activities and they both activate the imagination and creative faculties. It is as simple as penning a short story, poem, or even a song. Not only does writing help cognition in general, but there’s something to be said for writing with pen and paper versus a keyboard. Studies show pen and paper users may derive additional benefits that those who use a keyboard do not. Ultimately, the act of writing is what is important. If you are more of a writer than a reader, that’s okay. The best approach, however, might be to incorporate a little of both. Different regions of the brain are challenged when a new musical instrument is learned. Those responsible for motor skill and memory are activated, but the auditory and vision centers are also exercised. There’s nothing complex about it: just pick up the instrument you’ve always wanted to play and start with the basics. Play along with recordings or get adventurous and join fellow musicians for a jam. The advantages to brain health are in learning something new. Music is one of the best ways to challenge cognitive skills and have fun while doing so. Becoming bilingual is certainly a good idea if you spend your winters in Panama City, but there’s another great reason to study your favorite foreign language: The study of a new language forces memory to function at high levels. A small daily commitment to learning a foreign language will keep the brain plaque at bay. Of course, if you do retire to Central America it will come in handy there, too. Puzzles aren’t just for kids. They help young brains develop, certainly, but they facilitate cerebral health at any age. Crossword and jigsaw puzzles come in a variety of difficulty levels, and they are one of the hallmarks of a strategy to prevent Alzheimer’s. Just pick a level of difficulty and a puzzle style. There are dozens to choose from, including logic, math, and video game puzzles. 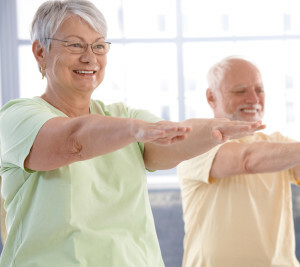 Staying physically fit into old age is not difficult. Stretching exercises and a brisk walk can keep you in great physical shape, but also help to maintain mental agility. Just find an enjoyable place to walk for 20 or 30 minutes. A quicker pace is preferable, but a slower walk is better than no walk at all. Stretching, bicycling, or walking, just 2 or 3 times a week will make a difference, both mentally and physically. Challenging hobbies are enjoyable. Aside from fun and relaxation, perhaps the biggest benefit of these activities is that they increase the odds of living a long, healthy, and productive life. Keeping Alzheimer’s disease at bay may just be a matter of staying creative, maintaining your intellectual edge, and having a little fun.